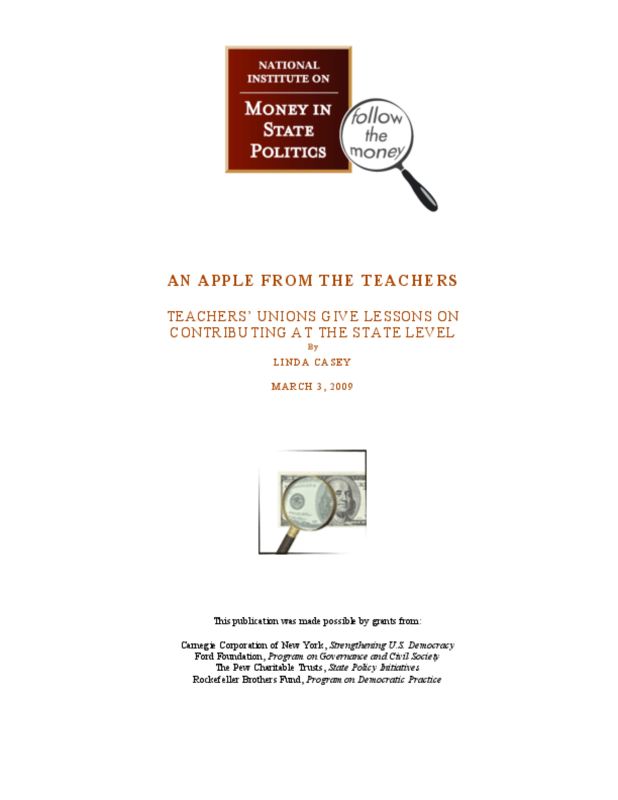 From 2003 through 2007, teachers' unions gave $112.5 million to committees working on 88 ballot measures in 22 states. In addition, international unions NEA and AFT and their affiliates gave almost $53 million to political campaigns for state candidates and political party committees. Incumbent legislators received $21 million of the $29.7 million given to legislative candidate committees. Nearly 97 percent of the money given by teachers' unions came from the home state of that union. Teachers' unions made up only 1 percent of the more than $4 billion given to all candidates from all sources between 2003 and 2007. Teachers' union contributions represent a small percentage of all money given to candidates or political party committees.